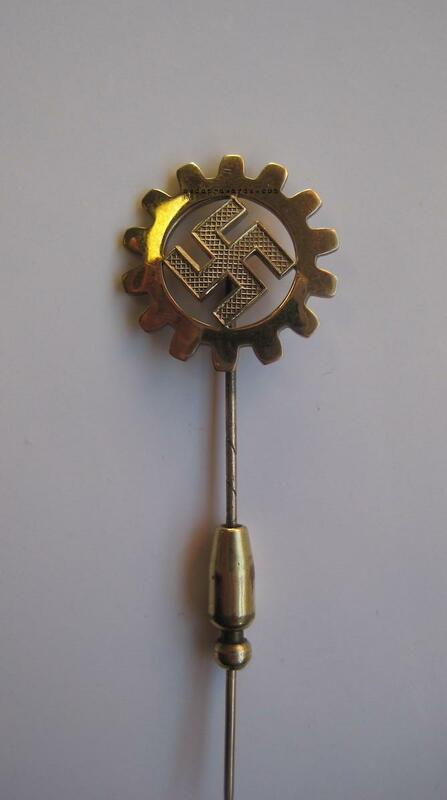 I was wondering if any members out there have an example of this golden DAF lapel pin in their collection. It was awarded by the DAF to the owner and factory party leader of those factories designated as Musterbetriebe after the annual national competition. 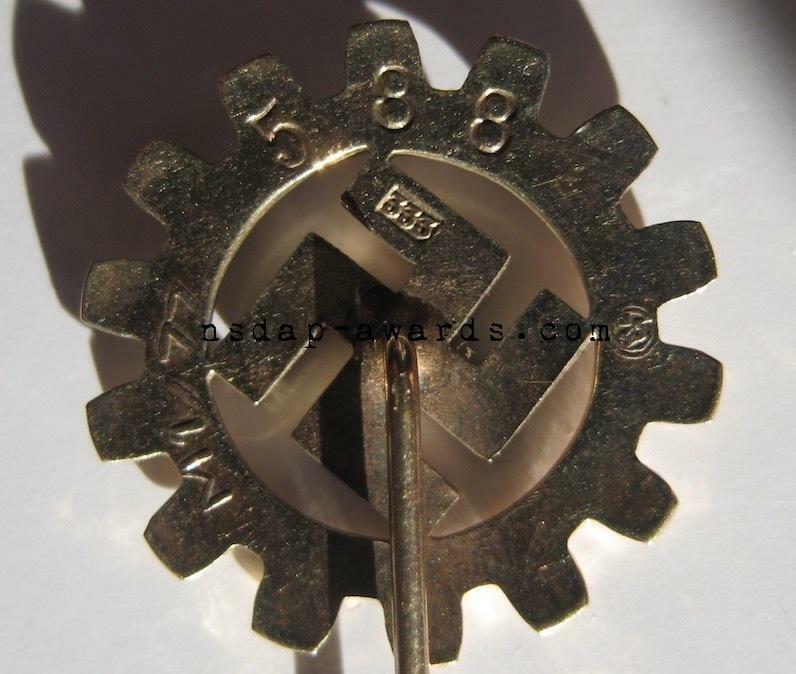 There are variations in markings on the reverse that also includes the pin number. I appreciate those forum members who have already graciously provided the information of the examples in their collections. Here is my cased example. Pretty sure you already have mine but if not, here are a couple of shots. I do Matt. Thank you for showing your fine example of the 333 gold version of the Ehrennadel.